11 Sep What’s Not to Acai? For the past few years, a specific berry has been gaining popularity. Its name was a little bit of a tongue twister, but we all eventually got it. You’ve undoubtedly seen many stores offer them: The Acai Berry! Acai berries contain high amounts of anthocyanins which is the antioxidant that you find in red wine. It is useful in lowering cholesterol and is good for your heart’s health. Acai has the potential to help you lose or maintain your weight! People who have eaten the berries consistently have seen results of weight loss or distribution. The antioxidants found in acai berries have been used for centuries by Brazilians to support healthy skin that glows. The berries are high in fiber and do help in the digestion process. They also have a detoxifying effect and can aid your digestion in that way. The acai berry is known as a superfood and can help boost your immune system. It can help produce human gamma delta T cells which are essential for immune health, and it can also help increase the production of interleukin 12 (IL-12) and myeloid cells which are a type of white blood cells needed to keep your immune system in peak condition. Fun fact: acai berries have twice as many antioxidants as blueberries and ten times as many antioxidants as grapes. These antioxidants help keep you looking good. This berry is especially good at increasing energy levels after working out. 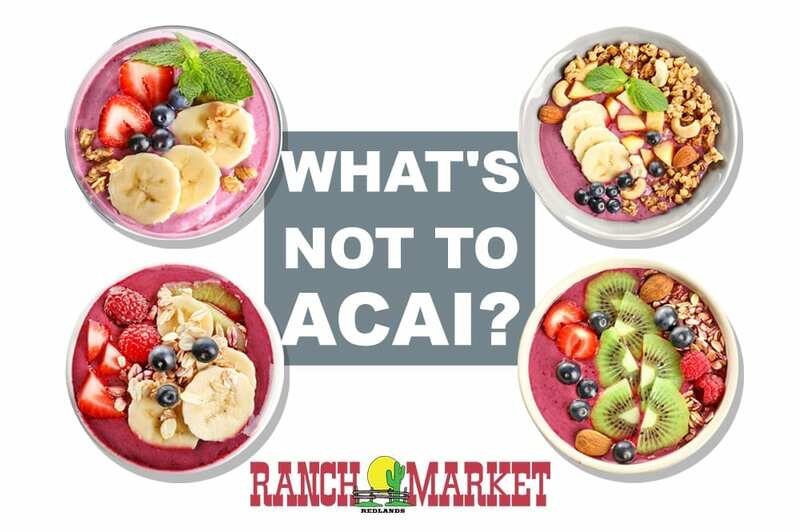 Make sure to stop by and try an acai bowl to see all the benefits for yourself. We know that you will love it!